Warning: the following photos are not suitable for vegetarians or crustacean activists. What is it about throwing a New Year’s Eve party that turns the perfect Parisian hostess into a cold-blooded killer? 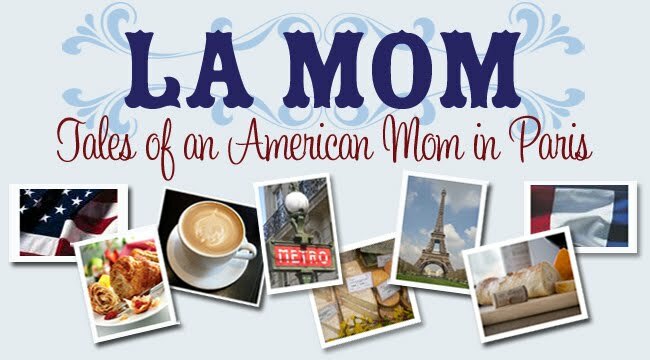 One thing La Mom has learned over the years is that nothing – absolutely nothing – stops the French from bringing the very best gourmet food to their table during the holidays. Even if it means doing the deed themselves. After a lovely apéritif featuring copious amounts of champagne and foie gras (warning: another cruel food alert! ), my oh-so-Parisienne friend, Little Miss Parfait, literally presented our next course on a silver platter. LM Parfait: Zese homards are very fresh. Zey are not moving so much because zey have been on zee balcony. Zee cold makes zem sluggish. But oh, how zey will bouger in the heat of my kitchen! La Mom: What are you going to do, throw them in some boiling water? LM Parfait: Mais non! First, we must keel zem by severing the spinal cord. Zen I will cut them in half and collect the juices. Zey must be keeled like zis or ze blood will not be good for ze sauce (rubbing hands together with relish). La Mom (Shrugging shoulders, muttering): You learn something new every day. La Mom (disgusted yet fascinated): They’re moving all over the place! LM Parfait (nonchalantly): Eet ees just ze reflexes. Zair brains are too small to feel ze pain. Et hop! Into zee oven you go! As they say in French: No pain, no homard grillé accompanied by a subtle cream and shallot sauce. Bonne année 2011 from your BFF in Paris – La Mom! Check back next week to find out why La Mom was disappointed with her Christmas gifts this year – and discover a sure-fire way to freak out your French neighbor.